Screw terminal + prototyping shield for Arduino. This Arduino shield combines the prototyping shield with the benefits of screw terminals for secure wire connections. This shield comes fully assembled. Screw terminals are a much better way of securing wire connections to your Arduino project, and this screw shield includes a large prototyping area for soldering your project together. 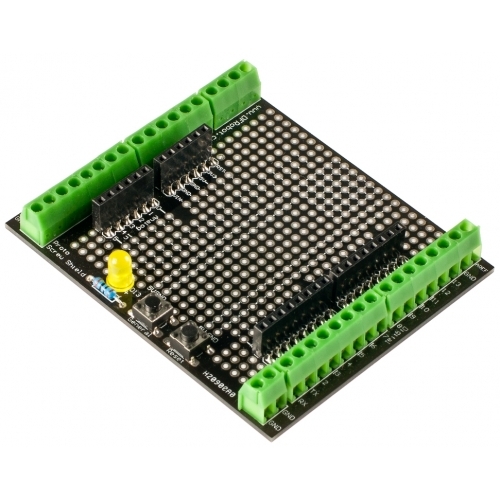 Compatible with Arduino Uno, Duemilanove, Mega, etc. Fully assembled and ships from the USA.